and the well-known S.V.A. Chaplain Reverend Magora in red! 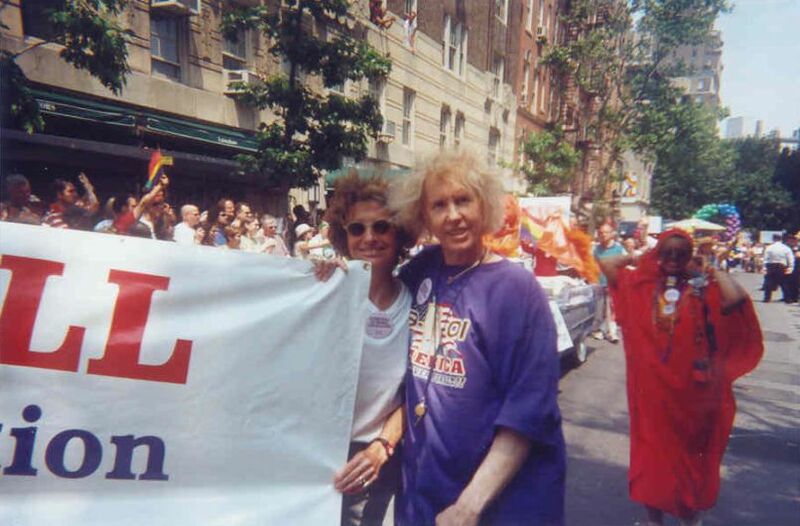 Aubrey Lees "Lee-ds" the NYC Gay Pride Parade with the S.V.A. and Storme DeLarverie, S.V.A. Ambassador. 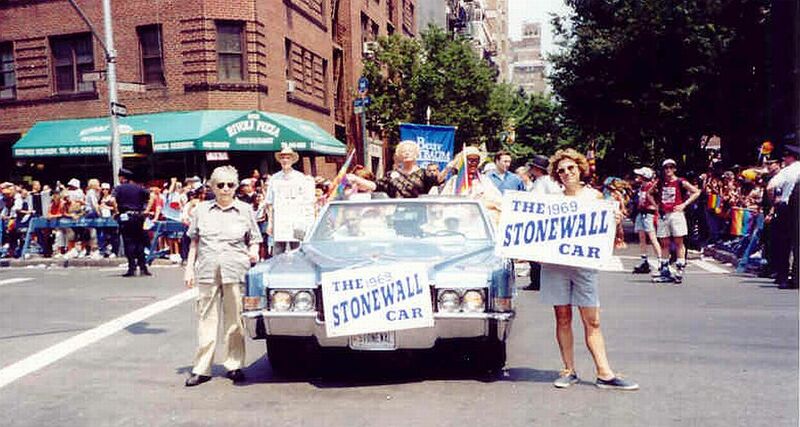 Outstanding in background is the "Stonewall Car". Aubrey Lees' Annual Letter to her Fellow Rebels in the S.V.A. 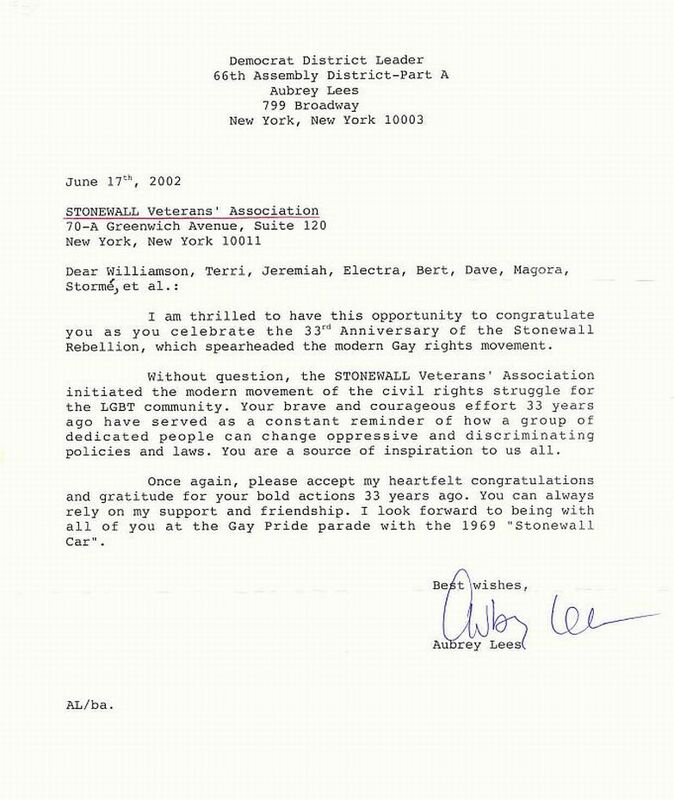 Aubrey 30th Anniversary Praise Letter to the S.V.A. Aubrey Lees with the S.V.A. 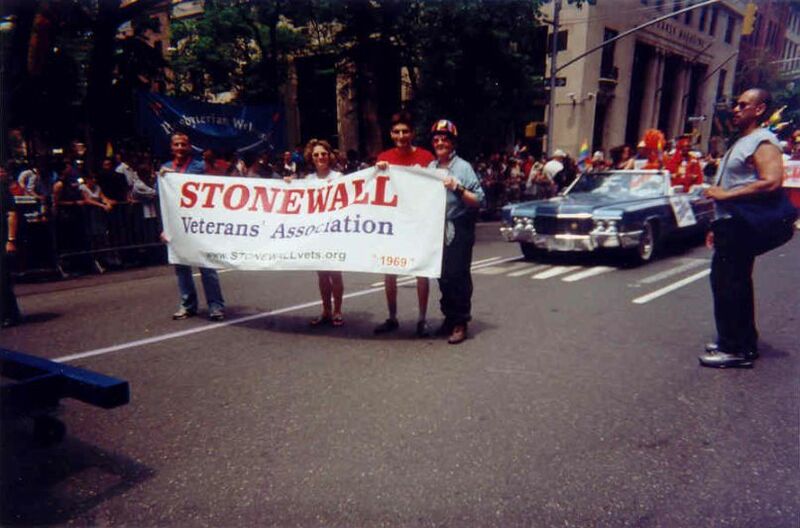 is sampled by Gay Pride Parade websites!